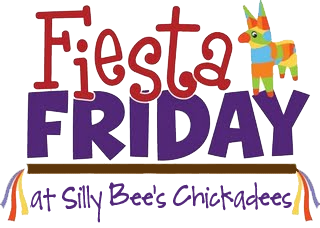 Silly Bee's Chickadees: Fiesta Anyone? Throwing parties is one of my favorite things ever. Themes, invitations, menus, music, party favors. I love it all. If I could throw parties for a living, I would. But, I'm too lazy to look for clients and I'm not interested in dealing with insurance, contracts or Partyzillas. You do know how to throw a good party. And that's a fact jack.